Why is this school year different from all other school years? It can all be summed up in two letters and one number: H1N1. Like every other educational institution in Canada, McGill has spent the last several months preparing for a possible second wave of the H1N1 influenza pandemic that struck first in Mexico in April. Though H1N1’s impact has so far been milder than initially feared, health officials have reason for concern as students congregate on campuses and in dorms just when the regular flu season doubles up with H1N1. Previous pandemic flu outbreaks in 1918, 1957 and 1968 came in multiple waves, with the second and (in the 1918 case) third waves being far more serious than the first. No one is expecting a repeat of the deadly 1918 Spanish Flu which killed millions worldwide; in fact H1N1 has generally caused only minor symptoms in the majority of cases. 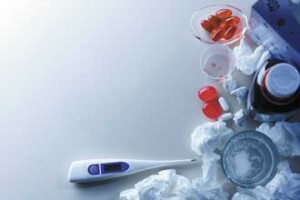 Nevertheless, there have been some deaths and complacency isn’t an option when dealing with flu. For its part, the Public Health Agency of Canada says that schools at all levels are “known settings” for transmission of the influenza virus, and current epidemiology suggests that people between the ages of 18 and 25 are at particular risk of catching it. One of the university’s first steps was to revise and revitalize the existing Health & Wellness website at www.mcgill.ca/health and turn it into a one-stop shop for H1N1 information. Next, contingency plans covering aspects of university life were drawn up for areas like student health, residences, food services, academics and human resources. McGill Residences has also put a detailed plan into effect to reduce the potential spread of H1N1 among students living on campus. Individual faculties and McGill’s Human Resources department have also elaborated plans to maintain educational and institutional continuity in the event large numbers of professors or staff members become ill or are forced to take time off to care for sick family members. Every department and unit has been asked to identify essential services and key personnel and make sure that someone is trained to back them up. Among other things, existing distance education and telecommuting technologies will be called into play if it becomes necessary for large numbers of students, staff and faculty members to work from home. In particular professors are being encouraged to use McGill’s sophisticated distance learning infrastructure to pre-record lectures and put as much of their course materials online as possible.